Insulation is the most important part of the house — due to the rapidly changing environment it has become a necessity for homeowners to insulate their walls, roof, floors, attics, ducts, basements/crawlspaces, and even specialty projects such as garage doors and water heaters to instantly add comfort and energy savings. There are many companies that are providing insulation and installation services but very few of them have been able to meet the standards set by Owens Corning. You might be wondering that what makes them the best. Here are some of the amazing qualities you will only find in Owens Corning insulation. Owens Corning Insulation products are available at our store and have been manufactured with high-quality materials. They undergo a special quality assurance test, and before displaying the product, we assure that it will meet all the requirements of the customers while protecting their homes from Mother Nature. Excess moisture can lead to mold, ice damming, and potential roof damage when it becomes trapped in your attic. Raft-R-mate® attic rafter vents help attic insulation perform at its best. Used between the rafters, they keep air flowing properly up to the ridge, where a ridge vent, roof vents, or gable vents allow excess heat and moisture to exit. This insulation delivers comfort — helping homes stay cooler in the summer and warmer in the winter. Helps reduce monthly heating and cooling costs* for the life of the home. Greenguard verified to be formaldehyde free. Fiberglass insulation is inexpensive and ultimately very cost-effective. It has proven to reduce residential heating and cooling costs by as much as 40 percent. By some estimates, it conserves 12 times the energy required to produce it, so it iss environmentally sound, as well. Cost effective: It will save you money on electricity bills. Once the temperature of the house is maintained you can switch off the HVAC system and Owens Corning insulation will maintain it. Here at Rock Solid Exteriors, durability is very important. All the types of insulation available at our store are highly durable. You will not have to worry about changing your home’s insulation for many years. Our insulation lasts longer which means that once you invest in a quality item, you can save a huge amount in the long run. One of the best things about the Owens Corning insulation is that all the products are available at the most affordable rates. When you hire our Michigan roofers for installation of insulation you can easily select the product that fits your budget and will maximize the efficiency of your home. There are different types of insulations available in the market and you can select the one that meets your requirements perfectly. All materials and sizes are available so you can easily select the one that meets the demands of your house. Simply let our insulation experts know your requirements and they will give you’re the insulation that will be perfect for you. Be sure to ask about their certified asthma and allergy friendly insulation, Pure Safety. Once you are at our stores you will surely get the product that you have been looking for. Rock Solid Exteriors, Michigan’s most recommended roofers will help you to assure that you get the best services and pricing for your budget. They have over 25 years of experience and their roofers and insulation professionals are Owens Corning Platinum Preferred Contractors. 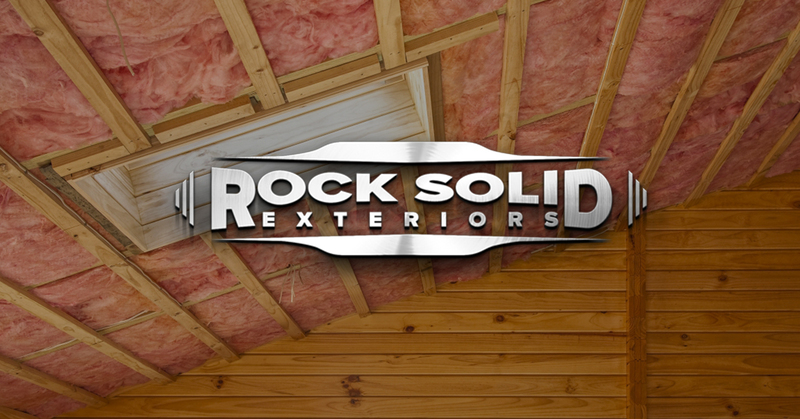 Be sure to contact them for your free consultation at 800-Roof-Pro or visit them online at www.rocksolidexteriors.com. And don’t forget to mention this article to save up to 25 percent off your insulation today!